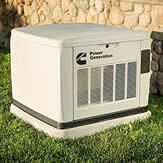 Electrical USA is an authorized Dealer for Cummins Generators. We start all jobs with customer satisfaction in mind! When you call Electrical USA you can be confident that you will get the best service in the area. Our trained staff brings you more than superior electrical service, they bring you peace-of-mind knowing that your family or business is safe! Up Front Pricing - You approve the cost before we start the work. We charge by the job not by the hour. No one wants surprises when the job is done! Red Carpet Treatment - As we walk in your home or business we immediately show you our license and our ID This way you know the electrician is qualified and the work will be done right. We know the difficulty electrical companies have in finding qualified electricians in order to satisfy their service calls they are forced to send unqualified personnel. This will never happen at Electrical USA, you always get a licensed professional electrician. Fast Service - 24 hours - 7 days Emergency service – Cell Phones in every truck, Fully Stocked Trucks in your area daily. When you have an emergency, you need to know it will be fixed in a hurry. We understand and can be there within hours not days! Security Screened and Drug Free Workplace - We evaluate all employees on their abilities and their character. Your personal safety and belongings are our #1 concern. You can be assured when the Electrical USA electrician comes to your home or business, you will receive courteous and respectful service. Prominently Displayed Uniformed Staff and Vehicles - Our employees are well groomed, professionally dressed with company shirts or uniform. Our vehicles are prominently marked with our company name and logo. Quality Products & Workmanship - We use only professional grade materials the best, top of the line products to assure you long service life and safety. We are so confident in our workmanship we give a two year guarantee on all our work. Our electricians have one goal to do the job right, we won't cut corners, We won't use inferior materials. We expect our electricians to take pride in every aspect of their work. We believe that quality installation backed by superior service provides real value. We wouldn't have it any other way. Would you? Payments for Services Performed by Electrical USA, Inc. Most small jobs or service work payment is requested after job is completed. We accept most major credit cards, checks as well as cash. On larger jobs or contract jobs we have terms that can be set up for each job usually 1/3 down another third after completion of work performed and the balance on completion of job, again arrangements can be made on each job depending on terms of the contract. If you cannot pay Electrical USA after the work is performed, please let us know up front we might agree on payment terms but this must be agreed before we start the job otherwise I would advise you not to hire us. There is a 2% finance charge on all past due invoices plus any additional fees accrued by us to collect any outstanding invoices. We will aggressively do whatever it takes legally to see to it we get paid. We will make it known and post you on our website those who do not pay. If we feel it necessary we will even make a website exclusively about this to let the world know you did not pay us. The website will stay up until we get paid for any outstanding invoices plus any additional fees we accrued in setting up the website plus legal fees. Again this can all be avoided by calling us and making arrangements.